Hello, my name is Max from Germany, I am 15 years old and I spent 6 months (January to July) at Miami State High School on the Gold Coast. A big thank you to Mrs. Andryk, who was a great help in planning and implementing my stay. I remember when I was lying in bed six months ago on the eve of the day of my departure and I almost could not comprehend that I was leaving for Australia in less than 24 hours. I was excited, but I was really looking forward to the sea and the relaxed lifestyle of the Gold Coast. The next morning I met another student at Munich Airport who was also going to the Gold Coast for 6 months. This was organized by Mrs. Andryk and so I did not have to make the long journey alone. There were almost fifty other Internationals from all over the world at the school, most of whom I socialised with. After a short time I had made close friends. Now I have friends from Brazil, Italy, Norway, Switzerland… . The first reunions are already planned ☺. The choice of subjects at Miami SHS is very diverse, so everyone will find subjects that are interesting and fun. From science to art to outdoor recreation (a subject that deals with outdoor activities), a school day in Australia is certainly not boring. After school, my friends and I used to go to the beach. Surfing was a great hobby for many. I also got to know and love surfing. But even those who are not interested in water sports will not be bored. Often we played beach volleyball or just relaxed on the sand. My host family consisted of Kath and Steve, my host parents and my Italian host brother Lorenzo. I felt very comfortable and welcomed. Kath and Steve did many trips with us and included us in their family. It was the perfect homestay, there was nothing I could complain about. After the first term my family came and I could show them how I lived. G’day, my name is Diana and I’m 18 years old. About three months ago I flew from Frankfurt via Singapore to Adelaide to start my new life on the other side of the world. I love being here and going to school as well as constantly making new experiences and conquer hurdles and challenges all by myself! My school is Eastern Fleurieu High School in Strathalbyn, about 50 km Southeast of Adelaide. The school isn’t very big which makes it easy to get to know the other students. A lot of people seem to be very interested in me as a study abroad student. The school: School in Down Under is different to Germany. Students and teachers have a very easy-going relationship. Sometimes you don’t even have the feeling that you’re sitting in a classroom talking to a teacher. In the beginning it was difficult for me to understand and like this relationship as I was used to something very different from back home. Over the weeks I learned to enjoy and appreciate being able to talk to my teachers in a very relaxed way. Choosing my subjects was very special for me as you can pretty much take up whatever you like. The only compulsory subjects are Maths, English and a Study Line (a free class that is being used to study). On top of that I chose Equine Studies, Outdoor Education, Craft and History. Equine Studies and Outdoor Education are my absolute favourites! Equine Studies is about horses, covering not as much the riding part but mostly things like feeding, equipment or diseases. Initially we spent two months organizing the school gymkhana (a show where schools compete). It is a great class with only seven students in one and ten in the other. The school owns a horse, Nelly. She is an ex-police horse and surprisingly it was discovered that she is pregnant. The family: My host family is perfect for me! Thank you once again for the good choice J. I have two smaller host brothers (4 and 6) and a host sister (16) who I go to school with and a host brother (18) who lives across the road. The whole family tries very much to make my stay pleasant and the best thing is that I can ride with my host sister as we all live on a little farm. Friends: Since I get along really well with my host sister and we are in the same year level it was very easy to make new friends. It isn’t difficult to get in contact if you approach somebody. Most Australians are very open and interested. All in all I can just recommend taking the step and living in Australia for a while. It is an unforgettable experience. I spent the best 6 months of my life at Kingscliff, NSW in Australia. 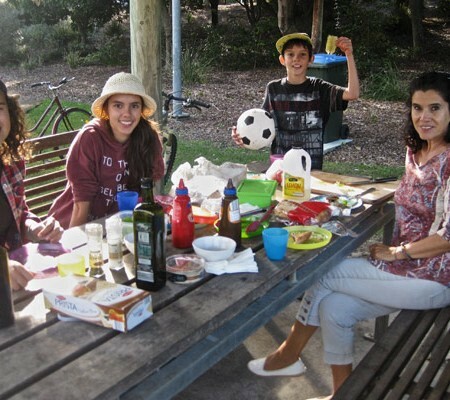 I went to Kingscliff High School and lived with a homestay family. Kingscliff is a small town on the coast just down from the Gold Coast. 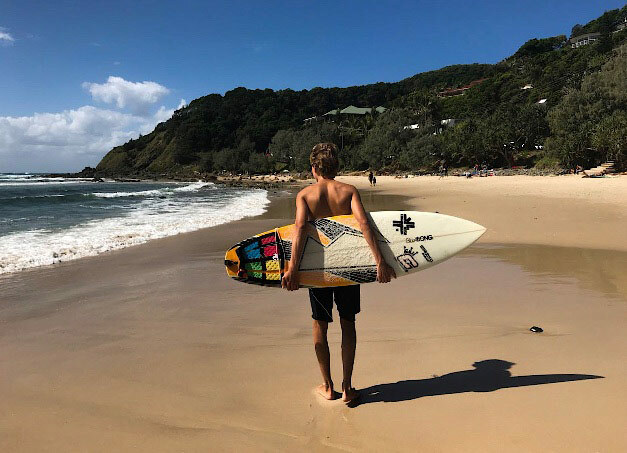 The great location allowed me to go surfing and shopping after school, as well as discover lots of different beaches along the way. On the weekend I often caught a bus to visit towns like Byron Bay, Coolangatta, Surfers Paradise and Brisbane. There’s always something to do, you just have to get out there and organise it yourself. Friends: Australians are open and friendly people who love to chat with one another. At the beginning I had to pluck up the courage to approach other students. Not just because they all knew each other but also because of the language barrier. But after the first step I realised I didn’t have anything to worry about. I made Australian friends pretty quickly and we hung out together on the weekend. I was also asked to play with them in a volleyball tournament. At school I met other international students. The great thing about having exchange students as friends is you can do all the touristy stuff with them. I got along really well with two in particular. Even though they understood German as well, we only ever spoke in English. My homestay family has become my family. It was so hard to leave them. I felt like a part of the family from the very beginning. We often had family days where we went to the beach and went swimming in the rock pools or had a BBQ in the park. On the weekend we would sometimes do film nights. I went surfing and discussed the news with my homestay dad. 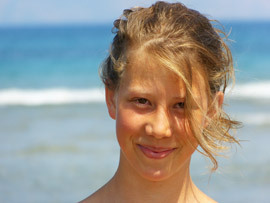 I quite often went for a walk on the beach with my homestay mum and her daughter. The youngest in the family was my nine-year-old homestay brother. I helped him with his homework, we played cards and he taught me how to play Australian Handball. My favourite subjects were Drama, Marine Studies and Sport. Mainly because I got the opportunity to work together with other students in these classes. Marine Studies was especially good because you got to go diving and learn about the ocean and its influence on us. I wrote short texts every week to improve my English and show my English teacher, with the goal of passing a Cambridge exam. There were three main highlights: Diving 10m under the water’s surface was one of them. You could see different fish, sharks and corals. Cook Island is famous for its turtles. I enjoyed it so much that I decided to do the next course, which was a deep water and night-time dive. It was worth every cent! 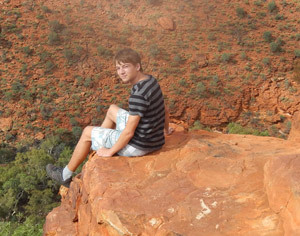 In the spring holidays I went on an Outback tour. I will never forget those nine days. 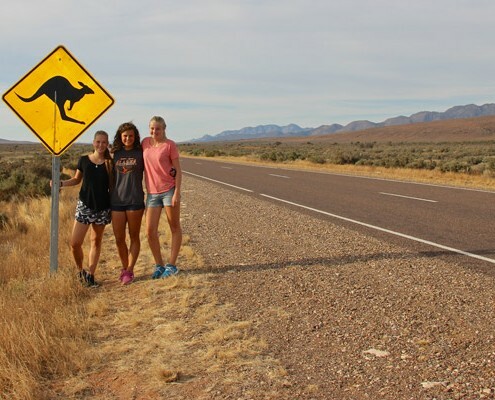 It all started in Adelaide and my group drove up to Alice Springs. We slept under the stars, saw endlessly long highways, tiny desert towns, Uluru, the Olgas and Kings Canyon. Along the way we spotted wild kangaroos. The parents of one of my international friends came to visit her at Kingscliff. Before that they had a stopover in Sydney and I was lucky to accompany my friend to meet them there. 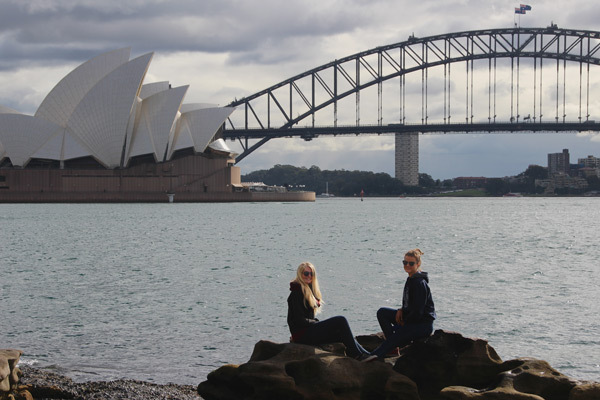 We spent three days seeing the Opera House, Sydney Harbour Bridge and the Blue Mountains, as well as Manly Beach and Bondi Beach. Highschool Australia played an important role in making my experience so memorable. As a small business they take the time to assist each and every one of the students under their program, and communication is quick and simple. I often went to them with questions or asked them to help me with something and soon after would receive a response. Because I would ask them immediately as soon as I had a problem, Highschool Australia was able to deal with the situation and help me to solve it. For example, with their help I was able to organise the Outback tour and the paperwork for the trip to Sydney. They didn’t just assist me throughout the year but they provided me with individual service by advising on the right school and location for me. I would absolutely choose Highschool Australia if I could do it all again. My name is Catalina and I’m almost 17 years old. A little over four weeks ago it broke my heart when I had to let go of my Australian Dream which I spent in my beloved town of Cairns. I can still remember clearly nine months ago, the excitement, the tears of joy about my homestay family, the stress of organising, the sadness of saying goodbye, and suddenly I stood in the middle of Frankfurt airport, sitting at the gate with this proud feeling of “I’m traveling all by myself to the other side of the world, where I don’t know anyone and have to be independent in a language that I only partly know, and I’m going to conquer it all by myself.” And that’s what I did. I picked Cairns State High School (definitely the best choice) and already fell in love with my school uniform on the first day. What a feeling it was getting up 20 minutes later just because you didn’t have to decide what to wear that day. That wasn’t the only cool thing about it, because the best part was that feeling of fitting in with other people. It felt as if I’d been to this school all my life. When it came to picking subjects for school, I made it easy on myself by taking, besides the mandatory Math and English, Home Economics, Marine and Aquatics, Drama and, my favourite, Photography. 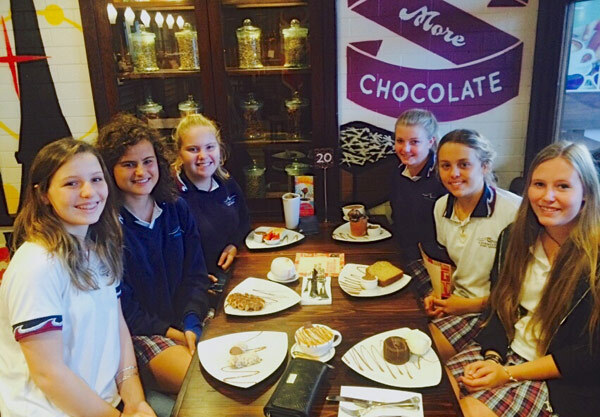 I enjoyed every single one – except for maths – and was surprised by the friendly and casual relationship between teacher and students. It was amazing! At 3pm school finished and everyone either went to Cairns Central or swimming in the Lagoon to finish the day. Around 6 pm every day I went home to the homestay family I loved so much. They consisted of a mother and father, two brothers (18 & 10) and a younger sister (8) as well as several pets. I’m just going to keep it short and say it could not have been a more perfect placement. From the very first day I was the new daughter in a welcoming, loving family, every second I think back to them, I begin to smile and get lost in the memories. Of course I went to the beach all the time, only a five minute walk separated the house from the shore. Sounds like paradise, right? That’s definitely what it was. As I always say “Better a German in Australia than an Australian in Germany.” Australia taught me many things, offering new opportunities along the way, realising my strengths and passions and giving me an increased positive view on the world and my homeland. I forged lifelong friendships, visited places that are impossible to forget, stole the heart of an Aussie boy. Alongside my Australian family I gained a deeply loved Italian sister and I definitely left a part of my heart behind in Australia. Sometime around three years ago I shared with my mother that when I’m older, I would like to do a student exchange and what did she say? “Sure sure, you do that.” As in “Who put that silly idea in her head? It’s just a passing thought.” Too bad it wasn’t just a phase so that meant arguing and fighting to convince mum to let her little princess go into the world. Mum always said, you can do it after you finish school and studying. But dear parents a HIGHSCHOOL EXCHANGE is not the same as a WORK & TRAVEL TRIP! You just can’t compare the two with each other, and while I’m not going to list the differences, please listen to your kids when they want to do a high school exchange, and consider despite the cost if it might just be possible because the experience is far more valuable for your children than you might think. I remember how many times I thanked my parents for enabling my dream. Whether it be in the mornings on the way to the bus stop as the sun pried its fingers through the palm leaves or when I got an A+ in my Photography class or when I was the only person on the pearly beach in the afternoon sun, I was so thankful for all of it. Now finally my parents understood that they did the right thing, which was letting me go to Australia. I will never forget my time in Cairns and can’t wait to return “home” because Home is where the heart is – for me it’s in Germany and Australia. Finally I just want to again thank Highschool Australia, particularly Heike Andryk who looked after me both before and during the trip. So exchange students, if you landed on this site look no further, you’ve found the right agency! Three months ago, my adventure in Down Under began. I can still remember well how warmly I was greeted by my host parents and the two school coordinators at the airport. The first few days were like a holiday, full of sightseeing and new culture. Though soon after, the first school day was upon us; with uncertainty we stood in our school uniforms and were taken to our “Learning Communities”. I’m going to Bribie Island State High School , and the school here is quite different: it is much more relaxed, dealing with the teachers is more collegial, and I have subjects like Film & TV, hospitality (cooking), tourism and Early Childhood. You already can see, living here is a bit like being in paradise: the scenery is just beautiful (miles of deserted beaches, national park, palm trees everywhere …), on the way to school I pass by the sea, I have lots of free time, and I feel comfortable in my host family. They show me a lot of the area and have even organised a piano for me. 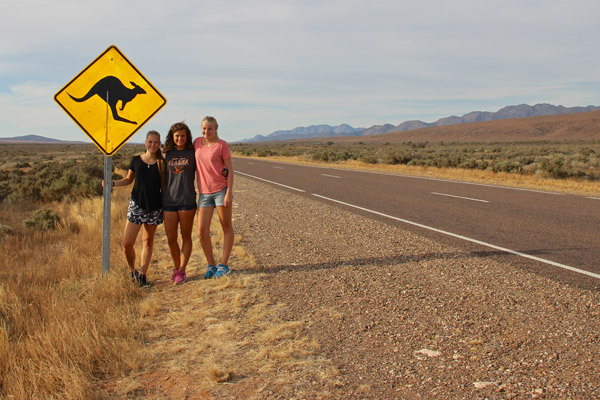 Tomorrow I’m off to embark on the “Outback Safari”, a tour with other international students to Melbourne, Adelaide and finally to Alice Springs to the famous Ayers rock. I’m really excited about it, but at the same time I’m also a bit sad because now half my time here is already over. However, I will enjoy the remaining time to the fullest, before I return to my not so relaxed life in Switzerland. I am incredibly grateful to have this opportunity and take a break for half a year from my everyday life. I had so many great moments here, have seen wonderful things and experienced things that I would’ve otherwise never done. We are two families from Cologne, whose three sons have known each other since grade 5, and wanted to spend this great time together in the same country. So we visited the website of Highschool Australia in detail. The initial contact led us to Ms. Andryk. With her direct and open way (as to be expected from a Rheinländerin ) she gave us all the information we needed and was always helpful throughout this beautiful time. Above all, she has accompanied us as parents. For us, it was just as much a special time. Letting go for the first time is not that easy. But the idea of someone living locally, in our case, not far from our children, gave us peace of mind. From the very first step to the very last day and beyond Ms. Andryk was always there for us. We bombarded her with questions and always got answers quickly. Inquiries were met with definite responses, and we always felt well looked after and informed. 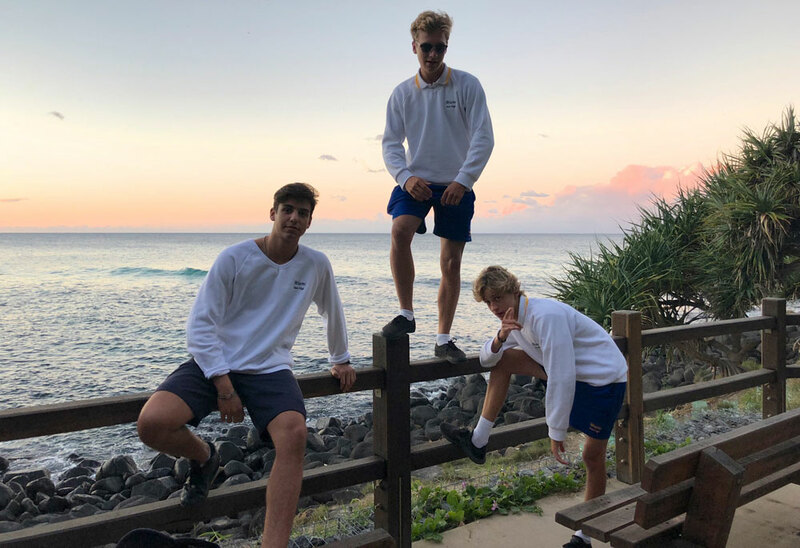 She helped us in the selection of schools – the boys each had a different school on the Gold Coast – and if there was any problem, she had direct contact with the School coordinators. Ms Andryk was always informed whenever there was something for us to know as parents and handed the information to us. The holidays we spent in Australia ourselves at the beginning and the end of our sons stay in Australia were beautiful. We will keep these memories of such a great country in our memory forever. 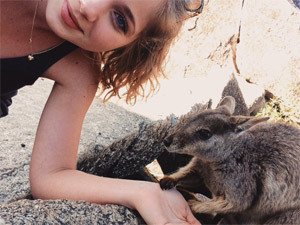 Hello, my name is Isabel, I’m 15 years old and I was in Australia from July to December 2014 at the Kawana Waters State College on the Sunshine Coast. I chose this school because it has a very appealing surfing program and I always wanted to learn how to surf. Before my departure I got myself a lot of information, and thanks to Anne at High School Australia and my sister, who was in Australia two years before, I was well prepared. But the closer the flight came, the more excited I became: how will I be received there? Is the host family nice? Will I fit in quickly? But these are fears that probably everyone has when they travel to the other side of the world, so far away from family and friends. From High School Australia I got the contact information of other students who went to Australia at the same time as me, and also from people who’ve been to my chosen school. Through Facebook I was able to quickly get in touch. That helped me because everyone told me that they – like me – were a little scared, so that was quite normal. After a long flight with much delay I was met at the airport by Vicky, the coordinator of my schools international students, who took me to my homestay family. My host mother welcomed me very cordially, made ​​me breakfast – it was 5 o’clock in the morning and the rest of the family was still asleep – and talked to me. I was very tired and then rested a bit. Later I met my host sister (15) and my host brother (17) and later my host dad. I have a very nice host family. With the help of my host siblings I quickly made contact with Australian kids. A week remained for me to get to know the area and get used to it, before the holidays were over. 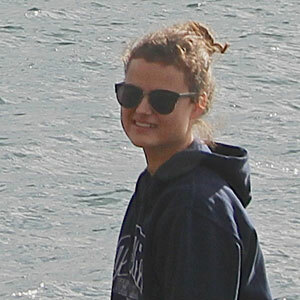 I went to various beaches with my host sister, where I also frequently saw dolphins and whales. On the first day of school I was very excited … I met all the internationals (some German, but mostly Italian and Brazilian) and got my uniform and exercise books. In my first week of school, my school had organised a camp, where we all got to know each other quickly. There were many tasks that could only be done through teamwork. That was a lot of fun and we all got close very soon. In school, the Australians were very intrigued – Which country do you come from, where is that – they showed great interest. Then the day began, in a much nicer way than in Germany. I had subjects such as dance, snorkelling or cooking, because here you come into contact with classmates very quickly, and after school we went to the beach or into the shopping centre. Time passed by fast. Once a week I had surfing lessons and on the weekend there were a lot of parties. The school offers trips to Sydney, the Great Barrier Reef where you see turtles, sharks and dolphins up close, or the outback. With my family I went to the Gold Coast and Byron Bay, and with my friends I was in Brisbane or did day trips to Mount Coolum or Noosa. The 6 months passed so quickly – unfortunately. I would recommend to anyone not to stay any shorter, because after three months is really the best time. They make you feel at home and accepted into the community. When I had to pack my suitcase, I was really sad. My host family gave me a Pandora bracelet that I wear every day now. Back in Germany I settled in quickly again and I have to say that I only noticed back home, how much my English improved and how much I have won in experience and confidence. A lot of close friendships were built in Australia and with my German friends from Australia I still have contact and even catch up, as my group travels to the Oktoberfest in Munich and the carnival in Cologne together. I also still have a lot of contact with my host family and Australian friends. I recommend EVERYONE who has the opportunity of a stay abroad to do it is an experience like no other. You change and become more open, leaving you with memories that you will always remember positively, and you’ll have friends throughout the world. Dear Ms. Andryk! Our first contact with your agency Highschool Australia was almost exactly a year ago and it won’t be long until our daughter Anna-Lena comes back from Australia. Now it is finally time to thank you and your team for one year of comprehensive information and perfect, individual support. You convinced us from the first email, told us how things were going to be and everything you have said was right. Through your years of experience, you could always reassure us and relieve our initial concerns. 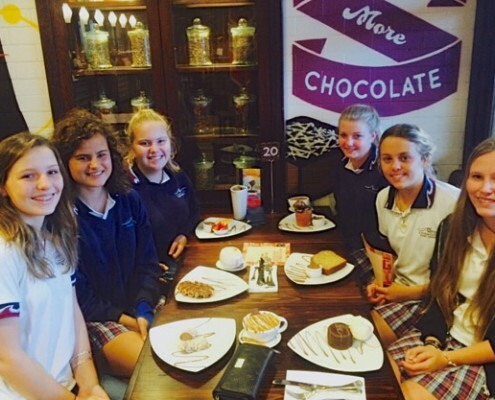 From the first moment we felt that we were in good hands with High School Australia. 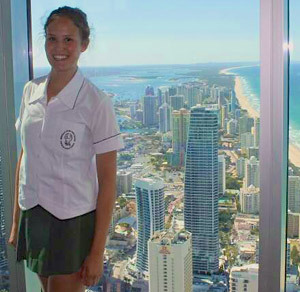 Anna-Lena had a brilliant time on the Gold Coast: She had incredible luck with her homestay family and the Merrimac High School and from the very first moment she felt at home in the new environment. Your experience and intuition were great, the family she got was a perfect fit for Anna-Lena! The fact that Anna-Lena does not want to come home and has already made ​​plans with High School Australia for the period after graduating from high school, is the best proof of that! Again thank you for everything and see you in no later than three years, when our younger daughter want to do her high school stay in Australia … and until then we will be recommending High School Australia, Anna-Lena with her great experiences is the best advertising. Yours Astrid & Michael S.
Hi, I’m Ben and I spent the last nine months in Australia. It was the best time of my life. I was at Caloundra State High School on the Sunshine Coast in Queensland, Australia. My school Caloundra SHS had approximately 1,000 students, of which around 20 are International Students who spent 3 to 12 months in Australia. The mood among the international students was very good and we did a lot together. From organised tours to the Glass House Mountains to self-organized one-day trips to theme parks on the Gold Coast. Although the international students mostly came from Germany, we only spoke English. As a result, in contrary to other schools I heard of, no small groups of people formed, only one large one. The Australian students have received me well, and I personally had no problems interacting with them. School in Australia was relatively easy and undemanding. You learn a lot more important things instead. Since I had two terms in the 11th grade, I was free on Wednesdays (officially for learning). This extra day which is not available in all schools, gives you the opportunity to go on longer trips with friends or family. 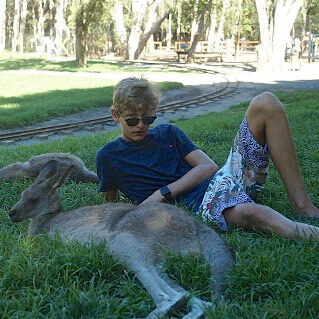 Since you cannot do too much after school, it is a nice way to explore Australia on your own. After school, you could surf, swim or simply meet with friends. People in Australia are really nice, and even though I had problems with the bus system and rather used my bike, you could do a lot. I personally have learned that it is important to seek contact with Australians. As a result, you get to know things that you would not learn in the student groups in which many like to stay. My host families were very nice, even though I had to switch from one to another, since my first host family had family problems. The change from one host family to the other happened in a few days, and even though it got me somewhat surprisingly, the feeling was gone in a few days. Despite this incident, I felt comfortable in both families and still have contact with both families. With High School Australia I had good experiences too. I had contact with them from time to time but I hardly needed it, except for a small incident where my passport was lost and found again. It was nice that Heike and Anne visited me and another student, and we spent a day together. As a result, you could see the people who are doing everything possible to personally get to know you and who you can contact when things get tough. My stay in Australia was the best time of my life and I can only recommend it to anybody. G’day, I’m Kat. 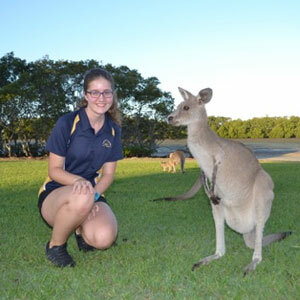 I’m 15 years old, currently in Australia and since about 10 months I am doing an one year school exchange on the east coast of Australia in Yeppoon near Rockhampton. For my opinion this study abroad is worth 100%. You meet so many nice people. Most go easy towards you, talk to you and are quite interested in your culture and then they ask very many questions. The beaches here are just beautiful. So if you’re a beach-type, then I would definitely recommend Australia. Besides beaches you also get to know the abandoned places. So you drive up for hours through the Outback on a deserted road, where one meets nobody at all for about half an hour – this is cool too. What I like about the Australians is their open nature and that they do quite a lot with their families. I have been in Hervey Bay, Queensland, for about two weeks now and it is absolutely fabulous here. My host family is perfect and they really treat me like their own child. 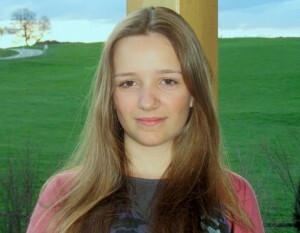 I have a little sister who is totally gorgeous and funny. We have a lot of fun together. On Tuesday, school finally started. While it was only Orientation Day, it was still very exciting. The good thing about FCAC is that they only have about six “internationals” in total, so that there won’t be too many. Otherwise there might be the possibility that you don’t find Australian friends, because you might only mingle with the other internationals. On Wednesday I had to wear my school uniform for the first time… It is sooo ugly. But by now I am used to it, because it would feel strange not to wear what all your friends and schoolmates are wearing. I already found some really funny girl friends, they are just so sweet and accepted me right away. The individual subjects are partly difficult to understand. For example, we are discussing Shakespeare in English, which not even the Australians understand. Biology is also quite hard, but I think it will eventually get better. I am doing a scuba diving course, which I can really recommend. I think, now that I am in Australia, I may as well experience as much as I can, because I may never have the chance again. My host family is planning a couple of trips with me. 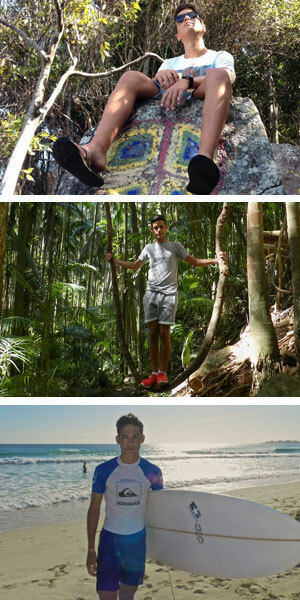 For example, we will be going to Sydney in April and perhaps already next weekend to Fraser Island. I am really looking forward to the next six months and I can recommend to anyone to do a high school year. 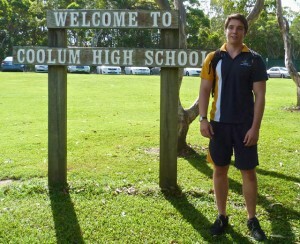 Our 16 year old son Mika went to Coolum High School on the Sunshine Coast [Queensland] for six months. Back then, we contacted several organisations, but with Highschool Australia “the chemistry” was simply right from the very start. The friendly and personal contact made our decision easy and we could not have chosen a better school! Saying goodbye was for me as the mother in particular not exactly easy. After all, the trip to Down Under is rather long! But everything went smoothly, despite a missed connecting flight. Thanks to the regular messages from Heike Andryk, we were always up-to-date and were finally able to sleep easy when we heard “We’ve got him!”. The host family was perfectly chosen, the school was not too big and there were surfers everywhere, just like Mika had hoped! Also the variety of school subjects was quite accommodating and superbly matched his interests. This is how school is fun! Unfortunately, Mika had to change to another host family after 3 months, which was not really great, but it could not be helped. We weren’t exactly thrilled, because the new host family’s own children did not live at home anymore, but for Mika this was not really a problem. He still had enough time to get know his new family and thought they were terrific. My husband and I seized the opportunity and finally made our dream of a trip to Australia come true. We picked up our son and thus were lucky to get an impression of his life in Australia. We visited the school and met some of Mika’s teachers, his friends and of course also his host family, where we “resided” in our campervan on their door step. 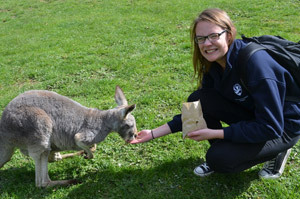 And just like Mika, we were delighted by the Australians’ friendliness and relaxed way of life! We spent (unfortunately) only 3 days in Coolum Beach, but although our visit there was brief, saying goodbye was quite teary. We realised immediately, why Mika was so comfortable with his host family! The biggest surprise for me was to hear my son, who was never exactly an A-student in English, talk as if he had spoken it all his life! For Mika, it was a terrific time with so many experiences he won’t forget anytime soon. He finds it difficult to “settle back in” in Germany. Mika promised his Australian friends “I will definitely be back!” and I think that will be the case for all of us! Melanie arrived safe and sound, albeit a little exhausted, in Munich today. We picked her up at the airport around midday and were able to hold her in our arms again, after three months in Australia. She really enjoyed her time, she liked it so much and would have liked to stay a little longer, but of course that was not possible. We’ll have to see now how she will settle back in. For the time being, she is still in Australia and even falls back into speaking English. Felix sends his regards. He is over the moon and enjoys every day to the fullest. He made many friends and his family is absolutely nice. 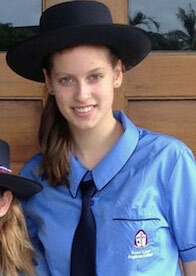 The school (Miami SHS, Gold Coast) [Queensland] is tremendous and he does not even want to come home anymore. After school, he goes to the beach with the many friends, on weekends they meet for various activities and in the evenings he enjoys time with the host family. Mrs. Scott is making a huge effort to integrate Felix into the family and he already talks about “his family”. His English skills are coming along nicely – he now no longer thinks in German, but in English instead. He already wrote to his English teacher in Germany, who seems to have been infected with the Australian school system and life in Australia. Your personal commitment is your absolute strength which distinguishes you. Now even our daughter would like to go to Australia in two years, which would have been unthinkable two months ago. She is already promoting the idea among her friends and perhaps someone will come along with her. As you can see, Felix’s enthusiasm is causing ripples. He is so happy; please do not forget to put him on the plane back to Germany. He is so enthusiastic, he’d definitely forget his departure date. Do you have an assessment page where students can leave a statement? We would be happy to send you an assessment. You may also publish our telephone number or email address so that people who are interested can hear for themselves that everything was perfect.